Materials are sent to the center of millstone by feeding plants and they move to roller table along millstone’s periphery under centrifugal force. Roller plays its role in milling materials and the powder blow up by high speed airflow at the air ring are dried at the same time. There is qualified powder and unqualified powder because of separator. The former one collected by collector is made into final product, and the latter one is sent to millstone for milling again. 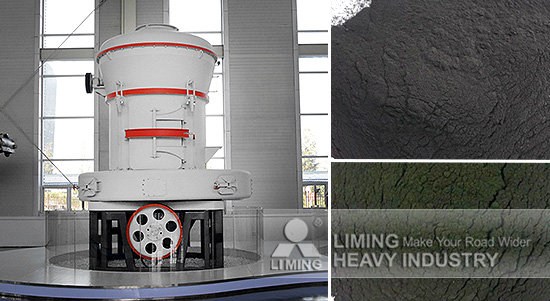 The plant integrates fine crushing, drying, milling and classifying together, which finishes the complete grinding work. Aiming at different materials (soft, hard, coarse, fine, viscous) and different requirements of final products (soft, hard, viscous, light), the grinding plants utilize different speed of millstone to cooperate with corresponding pressure of roller, which can make the work stable and high efficiency. For the separator, developers make some innovations on separation mechanism of powder selecting assembly, running speed and seal in order to meet various requirements and gain large capacity. Basing on outer circulation, air circulation, iron removal and deslagging, etc. aspects, developers optimize the technological process and specifications which can apply to various raw materials, products and different situations.